Asparagus save a lot of health benefits for the body. These vegetables are rich in antioxidants and is believed to protect the body from cancer. Asparagus contains a lot of nutrients, high in fiber, folate, vitamin A, C, E and K, and chromium, and minerals that enhance the ability of insulin to transport glucose from the bloodstream into the cells. It is a very rich source of glutathione, a detoxifying compound that helps break down carcinogens and other harmful compounds such as free radicals. This is why the consumption of asparagus can help protect against certain cancers, such as bone, breast, larynx colon, and lung cancer. Asparagus is a member of the Lily family (Liliaceae), which includes garlic and onions. Asparagus comes from the Greek word meaning 'shoots'. Approximately 2000 years ago in the eastern Mediterranean, the asparagus has been known for its unique texture and properties of treatment. Although there are more than 300 varieties that known, only 20 varieties that can be eaten. Asparagus that usually consumed is actually a kind of shoots that grow from tubers under the ground. Here are some health benefits of asparagus. Asparagus contains folate which is important for the health of the cardiovascular system. Drink little asparagus juice mixed with honey three times a day can help strengthen a weak heart. Asparagus has a high content of potassium but low in sodium. These minerals that combined with asparagine, an amino acid active, making asparagus effective as a natural diuretic. Diuretics are very useful to reduce swelling during the premenstrual and bloating. Diuretics also help reduce irritability, fatigue, and depression. These vegetables are rich in minerals and carbohydrate called inulin that can not be digested. But in the colon, inulin becomes food bacteria such as Bifidobacteria and Lactobacilli. Therefore, the intake of inulin (asparagus) increasing the amount of good bacteria in the colon that prevent the growth of harmful bacteria. Folate, once again, become the key nutrients. Without adequate folate intake, the nervous system cells fetus will not develop optimally. Asparagus intake helps reduce the chances of birth defects such as spina bifida and lower the chances of babies born with low weight. Asparagus juice can help reduce the acidity of the blood and help dissolve kidney stones. Asparagus contains phytochemicals that produce anti-inflammatory effect that helps relieve arthritis and rheumatism. Regular consumption of asparagus increased frequency of bowel movements because it is rich in fiber. Asparagus contains antioxidants that help prevent cancer and cataracts. Asparagus helps control blood sugar levels making it beneficial for people with diabetes. Asparagus enhance the success rate of chemotherapy. Asparagus is a detoxifying agent and can prevent urinary tract infections. Asparagus is good for nursing mothers and helps the production of milk. Here's how to store asparagus in the freezer. Wash asparagus well under running water. Do not soak in a long time because it can damage the asparagus. Once cleaned, cut the base that stern. If too thick, remove asparagus clump into pieces smaller. Boil water in a pan. After boiling, put the asparagus into it for about 5 minutes. Meanwhile, in another pot, pour cold water and add ice to make ice water. Lift the asparagus from the boiling water and put into ice water for about 5 to 6 minutes. Add the asparagus in a plastic bag or container. Label the container with the date today and put in freezer. Frozen asparagus can withstand about 8 to 9 months. Do not immediately defrost frozen asparagus before cooking. 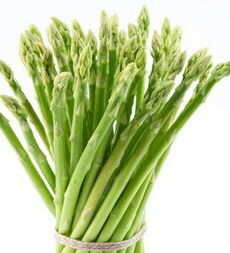 Thaw asparagus normally that is by moving in the refrigerator or aerated in the room. After liquefied, cook asparagus as you wish. Asparagus that has thawed should not be frozen again into the freezer.